The master bedroom is so amazingly spacious. 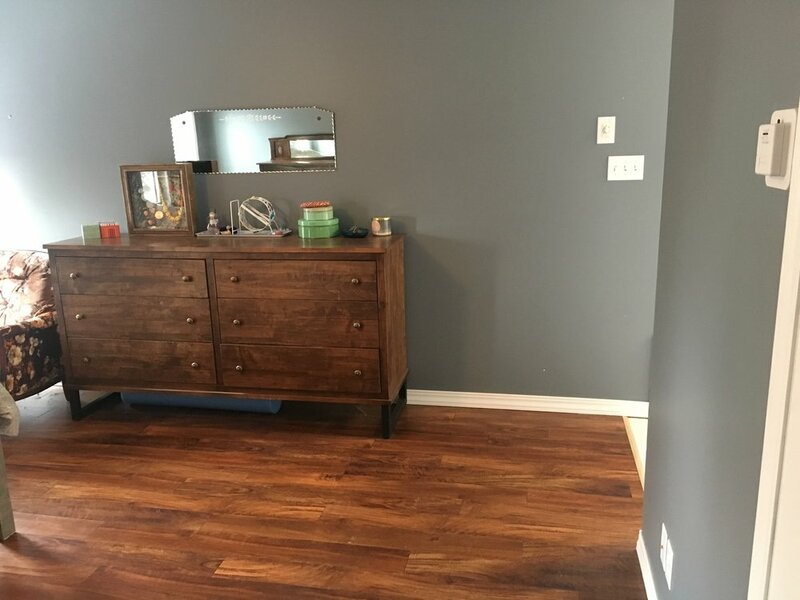 We have more than enough room, a closet you can legit throw a football in and so much wall space for art, photos and personalizing - I can't wait! 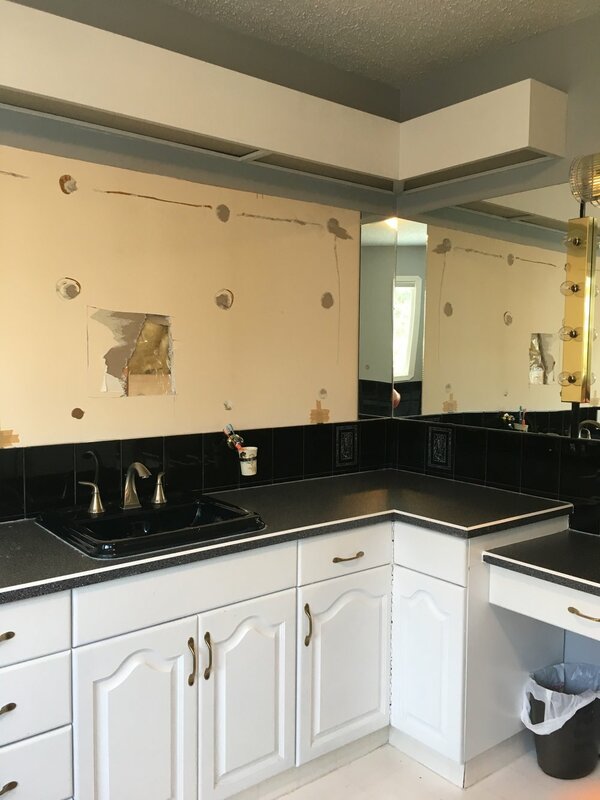 It's a gorgeous blank canvas that doesn't require a ton of 'big work' to complete. 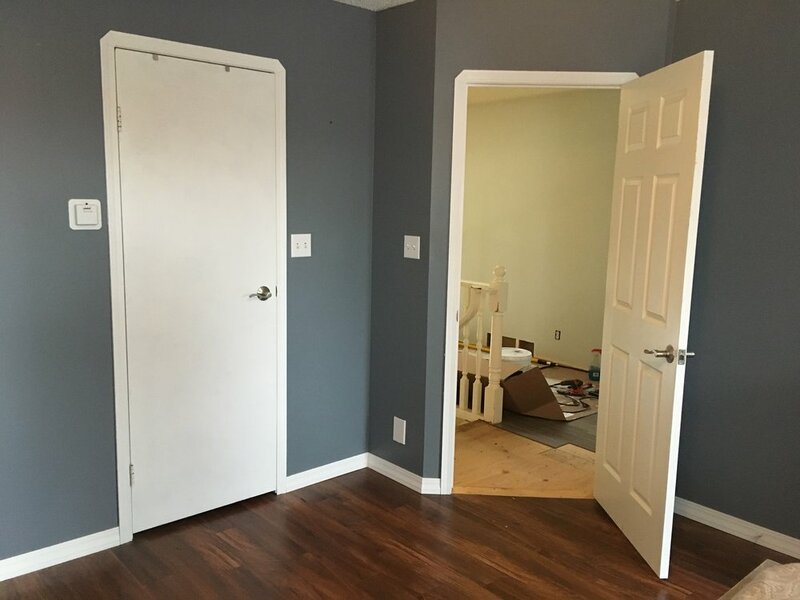 See that transition in flooring there, where you seem to be able to turn a corner. That is where the master bathroom is. There is no wall, there is no door, you can just walk from the bed to the sink with out worrying about a silly closed door getting in your way. 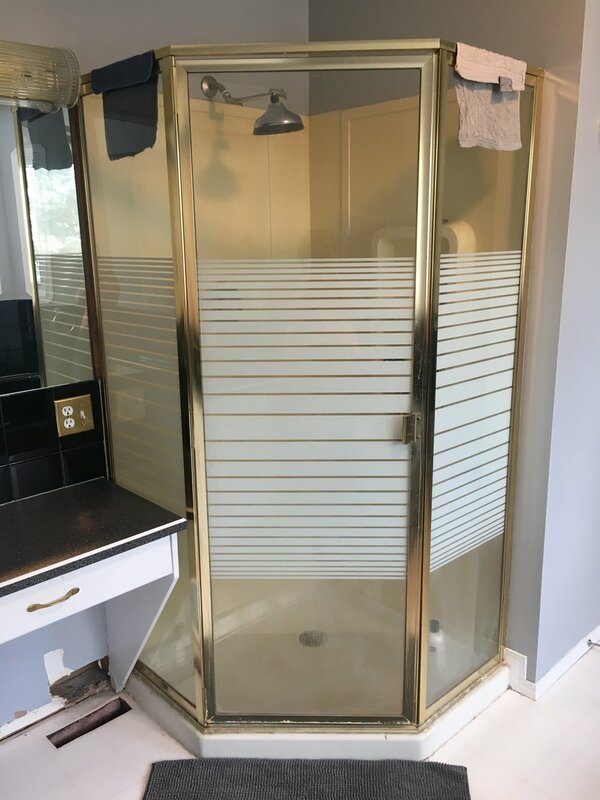 Like everything else in this 1991 dream house, the master bathroom style is bulky, brassy, with really awkward flow and really awful aesthetics (in this case SO much black) with a heavy dose of straight up cheese (not like Monterrey Jack, but rather of the dad joke variety). 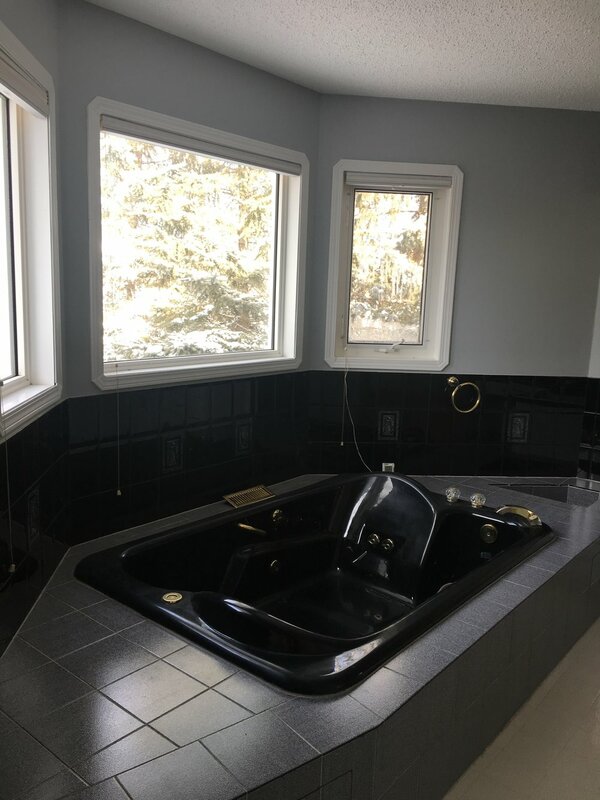 The only thing I will miss about this black tub, whom we so preciously refer to as Black Magic, is it holds all our dirty laundry. We tried using it as a legit tub once and our hot water tank ran out of juice when it was about 1/2 full. We ended up with the kettle in the bathroom and had pots of water on the stove... By the time the tub was full, there was a glossy layer of bubble-less bubble bath on top of lukewarm water and Marty and I were way too tired to even get in. Another great (but necessary) oddity about this bathroom is the toilet is in a little room, a water closet, all by itself. If any one out there was around when this style of bathroom was all the rage, I would honestly love to hear from you!